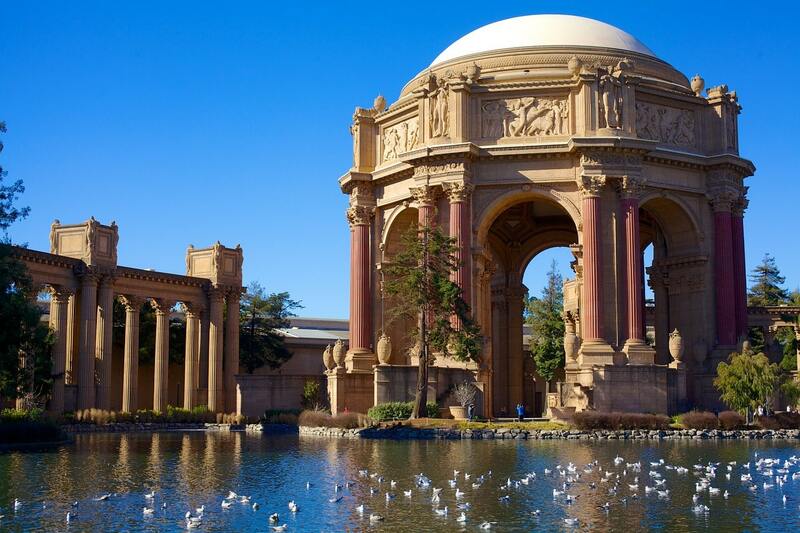 San Francisco Bay is the perfect place for a day of exploration and adventure. With over 100 locations around the country, Wheel Fun Rentals is the nation’s premier bike rental outfitter. With a wide variety of bikes and amenities like our exclusive GPS-Audio Bike Tour and the Deluxe Infinity Shifting Bikes, you’ll take San Francisco’s bike paths with ease. The southernmost community of Marin County and the home of the stunning Marin Headlands, Sausalito, California has transitioned from wartime factory to artist enclave to tourist haven over the decades. Through the years, it has also been a natural and historic spectacle. If you’re visiting the Bay Area or you’ve lived here for a long time, chances are high that you’ve had the urge (or even been urged) to explore this quiet, waterfront town. It’s on our guide, The Top 10 Day Trips from San Francisco for a reason. We’re here to convince you a trip to Sausalito would be anything but boring. It’s not just seafood and art galleries—but there is a lot of that, too. Keep reading to find why we love Sausalito. Getting to Sausalito is worth the trip on its own. 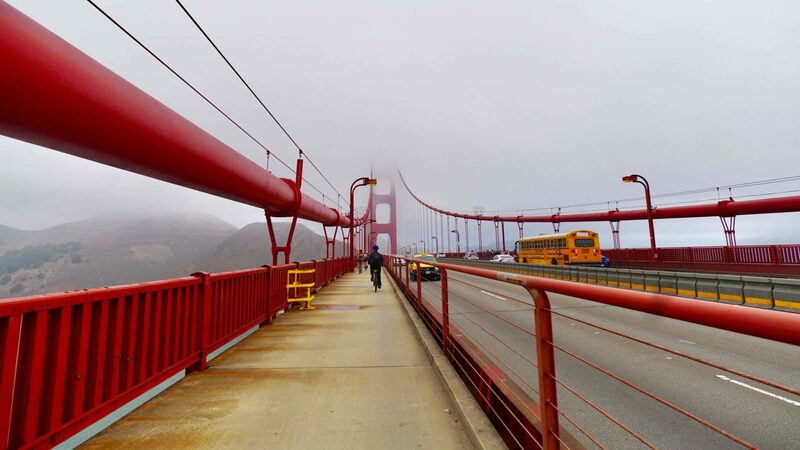 The most popular ways to travel are via the Golden Gate Ferry, or rent a bicycle to ride over the bridge yourself! To return to San Francisco, bike riders can ferry or pedal back. To see the Golden Gate Ferry schedule to Sausalito, click here. If you’re opting for two wheels, Golden Gate Bridge Bike Rentals and Bike & View Bike Rentals and Tours are both located conveniently in the Marina District of San Francisco with a direct route to the bridge. Wheel Fun Rentals is another bike rental option in San Francisco, and they have two locations in Fisherman’s Wharf. The team’s unique experiences add an optional GPS-Guided Audio Tour with every rental so you can learn while you pedal! For more information on both locations, click here. Perhaps the most popular reason to make a trip to Sausalito—other than the seafood, of course—are the views. Just on the other side of the Golden Gate Bridge, you’ll find Golden Gate National Recreation Area and the Marin Headlands (but more on that later). In the bustling center of our little waterfront town, you can meander Bridgeway to pass some of the region’s best restaurants, shops and parks located right on top of the water. Looking out across the water, you’ll see Richardson Bay, Angel Island, Alcatraz Island, the neighboring community of Belvedere Tiburon and the San Francisco skyline. We may be biased, but the Marin Headlands offer some of the most serene and most beautiful surroundings in the entire country. Located just on the other side of the Golden Gate Bridge and directly west of Downtown Sausalito, the hilly peninsula is the crown jewel of the Golden Gate National Recreation Area. Despite it being so close to bustling, urban centers, it offers such diverse natural wonders as Rodeo Lagoon, Gerbode Valley, Hawk Hill and Tennessee Valley. Historic sites and relics of our military history include Point Bonita Lighthouse, Fort Cronkhite, Nike Missile Site and Battery Townsley. For more historic and visitor information, visit the Golden Gate National Parks Conservancy page on Marin Headlands. For an even more one-of-a-kind view and a taste of local history, head to Sausalito’s famous floating homes neighborhood. Now more than 65-years-old, this landmark community is located one mile north of Downtown Sausalito along Bridgeway. It all started when the Marinship Shipyards were hastily shut down at the end of World War II. Returning veterans, artists, maritime workers and musicians moved into the many abandoned vessels and over the course of 25 years, the community transformed and grew into a neighborhood all its own. Every September, the Floating Homes Association runs a sell-out houseboat tour. For a complete guide to the community, including historic, must-see homes, how to get there, and more, check out Sausalito Houseboats 2018: How and Where to Visit from OurSausalito.com. There’s a very obvious reason two Sausalito restaurants made our guide The 15 Best Restaurants with the Best Views in San Francisco; they pair amazing food with amazing views! But Scoma’s Sausalito and The Spinnaker are just a couple of the must-try restaurants that call this community home. 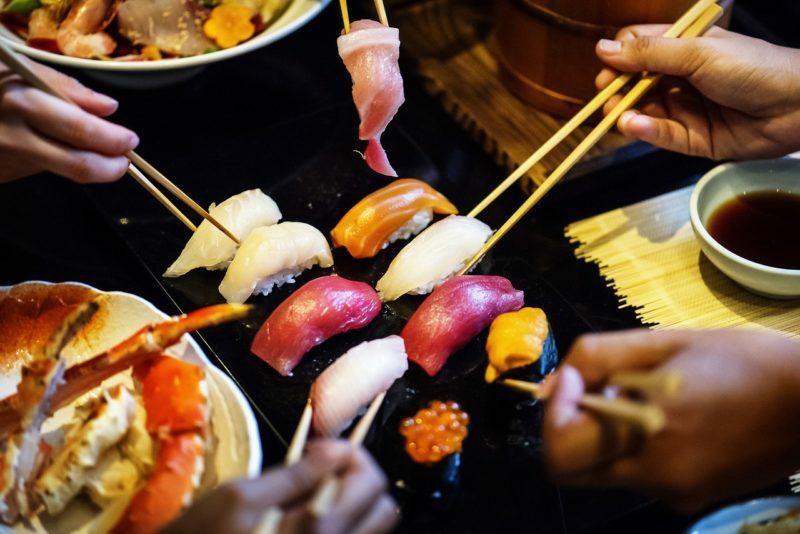 Venturing off Bridgeway onto Caledonia Street, the top-rated Sushi Ran offers some of the best sushi in the Bay Area. And the sustainable-seafood restaurant Fish in the Clipper Yacht Harbor marina is one of the region’s most talked-about spots for waterfront eats. You’ll learn more about this in the history section below, but Sausalito has been a famous enclave for artists, authors and musicians for several decades. As a result, our city is dotted with art galleries in every genre, with music history, and with plenty of events that celebrate both. Throughout the year, you can attend events like Jazz and Blues by the Bay, Concert for Kids or Tot Art in the Parkand the huge Sausalito Art Festival, an entire weekend of fun. Heath Ceramics was officially founded right here in Sausalito in 1959 and the team operates the original factory here as well as a light-filled courtyard and a showroom and retail shop where you can purchase handcrafted dinnerware. In addition to Heath Ceramics, other landmarks in the city’s northern industrial zone include the redwood-clad building that housed the now-closed Record Plant, the third location of the famous recording based in New York and Los Angeles. Here, stars like Prince, Metallica and Fleetwood Mac once recorded tracks. As you walk Bridgeway, Caledonia Street, Downtown and Ferry Pier, you’ll pass countless art galleries, and we definitely stopping inside. You may have pieced this together from numbers one through six above, but Sausalito’s history can be defined by music and art, the freedom of the outdoors, World War II, and even as far back as the Native Americans known as the Coast Miwok, who lived here for more than 3,000 years. After European settlers arrived, the area that is now Sausalito developed into a diverse community that boasted both mansions for the ultra-wealthy and jobs for the mercantile industry and working-class folk. But modern-day Sausalito has been largely influenced by the happenings of World War II. When America officially entered the effort, a major shipyard was hastily constructed on the northern waterfront which increased the community’s tiny population to a whopping 30,000. But just as abruptly, the shipyard was abandoned in September 1945, and it was the following years that defined Sausalito as a haven for creatives, musicians and artists. As we described above, these free-thinkers filtered in to live in floating homes. They developed artist enclaves and frequented local bars and restaurants, filling the town with music, art and celebration. Some of the most notable residents were Sterling Hayden, Alan Watts, Shel Silverstein, Otis Redding, Jean Varda and Sally Stanford. When passenger ferries returned in 1970 to carry more visitors here from San Francisco, the town was once again reborn. And now, this slow-paced, art-based, waterfront community hosts thousands of visitors each year. Will you be one of them? For more information on Sausalito’s history, check out The Sausalito Historical Society.